Even after Hurricane Harvey, the best efforts by Harris County officials to purchase the most flood-prone homes won’t make a dent in the larger problem, according to the Texas Tribune in a collaboration with Reveal and ProPublica. Despite the obvious need and high demand, Harris County, home to Houston, is plagued by challenges endemic to buyout programs. Limited funds, competing priorities, strict criteria place buyouts out of reach of willing participants. The snail’s pace of bureaucracy, which puts homeowners in limbo while creating opportunities for private developers to buy and flip flooded homes, also perpetuates the problem. 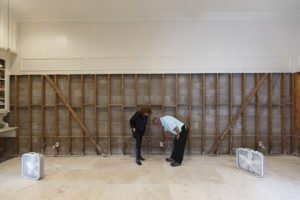 In photo by Michael Stravato for the Texas Tribune: Maurine Howard and husband Dave Davis are concerned with load bearing walls that may need to be replaced. Their home was flooded for weeks after water was released from Barker reservoir. As more people seek information about opioid addiction and its consequences, finding unbiased information is extremely difficult, according to a new report by Cat Ferguson for The Verge. In fact, some popular publications that distribute information about addiction and treatment are doubling as marketing arms for treatment centers. Ferguson, who is pursing a broader investigation into how rehab marketers manipulate addicts, reports that the connections between rehab operations and the sites are relatively well-known within the industry but less known by people going to the sites for impartial information. Prompted by Ferguson’s reporting, at least one site added disclaimers about its relationship with a treatment center. Now more than ever, freelance and independent journalists are in a precarious position. They lack the protections and resources of major news outlets, and they don’t always have the funding to pursue their crucial investigations that improve our communities and strengthen our democracy. Please consider a donation to FIJ so we can continue our important work. 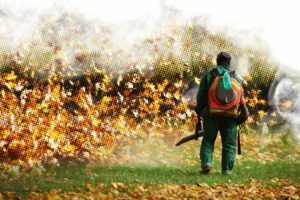 Leaf blowers and other gas-powered lawn and garden machines emit surprisingly large amounts of smog-forming chemicals. But scant research exists on the potential risks to the mostly low-paid immigrant workers who use the equipment for many hours each week. FairWarning commissioned tests that found that levels of hazardous ultra-fine particles were as much as 50 times higher around the machines as at a busy intersection at rush hour. FairWarning’s piece was carried by some 30 outlets, many of them members of the McClatchy newspaper chain. KCET-TV, the Los Angeles public television station, aired a 9-minute piece on the matter. Meanwhile, the California Air Resources Board continues to tighten rules on leaf blowers and other landscaping equipment to further limit emissions. With gratitude for their service and support, the board and staff of the Fund for Investigative Journalism would like to acknowledge the many individuals and organizations that help investigative reporters hold powerful people and institutions accountable to the public. The Fund for Investigative Journalism has begun recruiting mentors as part of a revamped mentorship program aimed at providing grant recipients access to some of the country’s best investigative journalists. The relaunched program comes with the financial backing of the Scripps Howard Foundation, which recently gave FIJ $5,000. The gift allows FIJ to offer its mentors modest honoraria for their yearlong commitment to the program. FIJ board member Mark Greenblatt, a member of the Scripps Washington bureau, is helping build FIJ’s stable of mentors. Mentors will be paired with grant recipients who request a reporting coach during the normal application process.